Globally renowned consumer tech site, Tech Radar had awarded Minirigs 5 stars and its coveted ‘Editor’s Choice’ award after a recent review of the new Minirig Bluetooth speaker. They were seriously impressed by the design and performance of the new speaker from the Bristol-based audio experts. 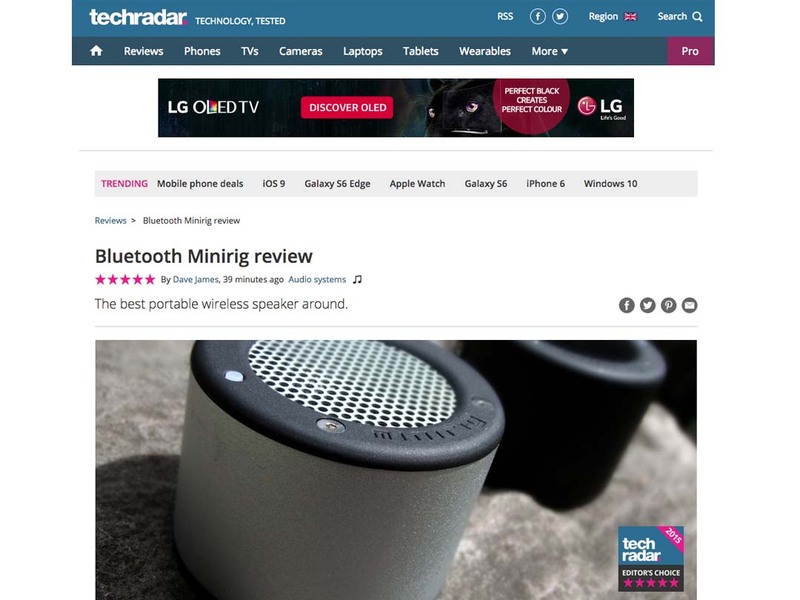 Tech Radar summed up their thoughts on the Minirig Bluetooth with the headline ‘The best portable wireless speaker around’. Say no more!